Where can I stay? What can I do? Where can I dine? Find it all on this site! This directory lists businesses in Hervey Bay and the surrounding areas of Dundowran, Craignish, Toogoom, Burrum Heads, Torbanlea, Howard, Booral and River Heads. What's on in Hervey Bay? Go to the Hervey Bay Events Calendar and find out! Looking for a Retail business? Find them listed here! How about a Tradesman? They are listed here! Are you a Hervey Bay, Queensland business? Are you listed on this site? If not, and you would like to be .... contact us! The city of Hervey Bay is a comfortable three and a half hour drive, or 45 minute flight, north of Brisbane, Queensland's capital city. Recognised as the Whale Watch Capital of the World, Hervey Bay is home to humpback whales from July to early November. 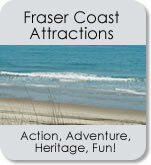 Millions of overnight visitors come to this region each year, including many thousands of international visitors. A million day trippers visit Hervey Bay annually. Visiting Fraser Island begins in picturesque Hervey Bay. Barges and ferries provide access to Fraser Island across the Great Sandy Strait. 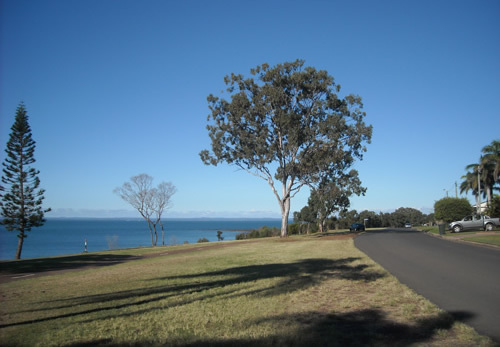 The majority of visitors to Hervey Bay arrive by car. Enjoy a bit of Queensland heritage with a visit to Maryborough, and all it offers, on your way through to 'The Bay'. Virgin Australia and Qantas operate air services to the Fraser Coast with convenient connections from most Australian capital cities. Greyhound Pioneer and Premier Motor Services operate several coach services each day. Queensland Rail operates regular services from Brisbane, Rockhampton and Cairns into Maryborough West. 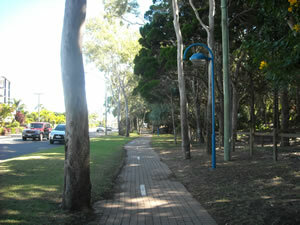 Transfers to Hervey Bay are via the Trainlink bus service, which connects with every train.